My father-in-law squinted. “Why on earth would you want to do that?” he said when I told him I was going to a remote part of Zambia to produce a virtual reality experience for Impact Network, the NGO I work for in New York. 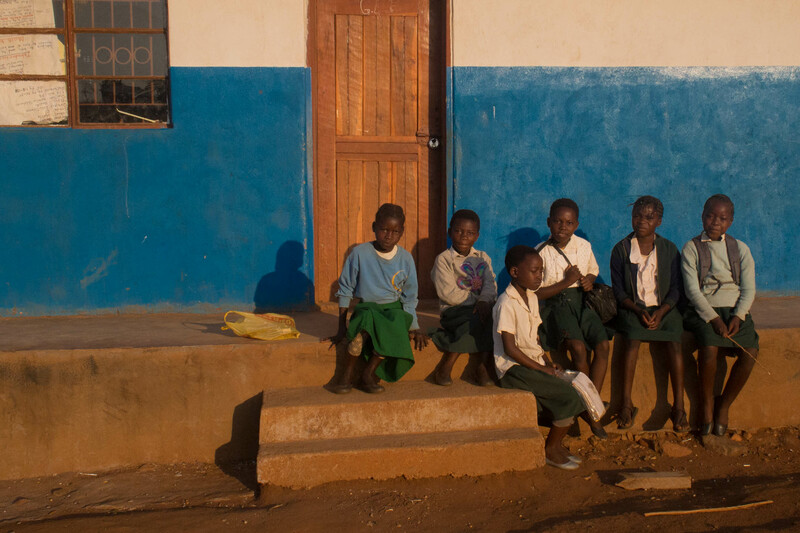 Impact Network runs education programs in rural, off-the-grid communities in Africa. I explained that virtual reality, or VR, would allow us to tell our story in the most immersive way possible. Short of bringing people to Zambia, the experience would transport them to a rural village where they could explore the sights and sounds of a new environment. This would help people to better understand the context and purpose of Impact Network’s work and maybe even want to visit themselves. I told him we would be shooting in a place without electricity, during the hottest part of the year, on a tiny budget, and with a skeleton crew. I hadn’t seen a 360-degree camera before. I had no idea how people in Zambia would react to seeing a VR rig in their village or how we would we show the film simultaneously to hundreds of people a few weeks later at the premiere. Maybe now I was the skeptical one. VR affords viewers more space and perspective than traditional media, including linear, or “flat” film, can. Shooting in 360 degrees would allow us to bring people unfamiliar with the culture inside the rural schools Impact Network operates, let them explore the beautiful landscapes of Eastern Zambia, and step into the life of a student. Our goal was to use VR to create a new kind of connection between the people we work with in Africa and the rest of the world. Chris Milk, founder of production company Within, calls VR an “empathy machine.” I wanted to explore what this actually means: how can VR create a visceral connection between humans, allowing viewers to know and feel how other people know and feel? Some of the best VR I had seen lived up to this promise; other pieces had not. Because this sort of immersive storytelling can shift perceptions, I wanted our VR experience to inspire change and action to improve the lives of vulnerable kids around the world. In Southern Africa, you are often reminded of the idea of Ubuntu: the spirit of humanity, or “I am who I am because of you.” Shooting in 360 seemed like the perfect medium to evoke this sentiment. After filming in Zambia, I realized that the power of VR to drive change derives from the fact that it doesn’t just communicate Ubuntu – it creates it. This project was ambitious for an NGO of our size. While VR is emerging as a mainstream communications tool for corporations and global non-profits – the UN, Amnesty International, and several large NGOs have used the technology to great effect – this would be the first time a very small, low-budget NGO successfully used the medium for storytelling. We would be producing VR on a shoestring budget without the resources of a major production company. But we were up for the challenge, and thought that our journey might even inspire other small NGOs to take on the adventure of VR without knowing what the end result would look like. 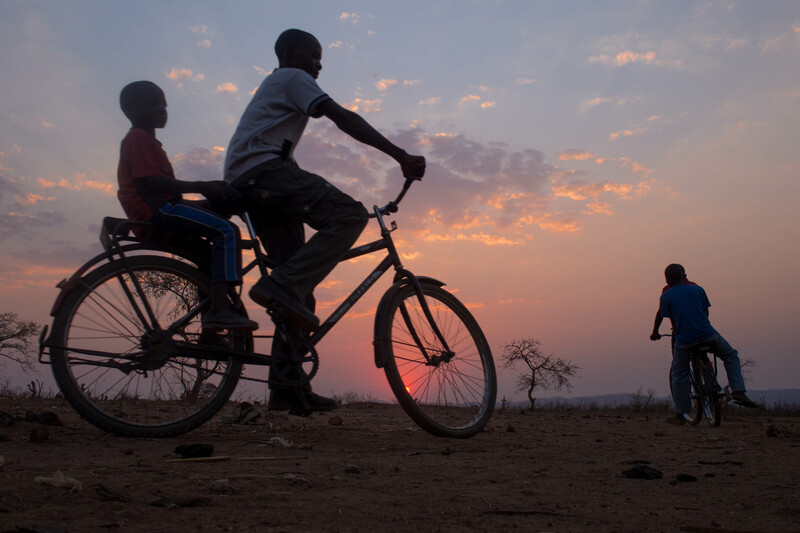 Our shooting conditions in rural Zambia were very unusual – no electricity, internet, or running water – and the entire production was powered by a solar panel on the roof of a school. VR introduces a new set of constraints because the filmmakers can’t be in the shot. Once the camera is set up, the team hides behind a tree or wall and hopes for the best in capturing a 360-degree perspective. Ultimately this allowed director Ben Bernstein to create a naturalistic, exploratory style that allows audiences to experience life in Zambia on their own. This shooting style made for a lot of surprises – cows kissing the camera, people singing in a circle at will, and extra-candid classroom dancing. Moreover, we wanted to use VR to tell a different story about development in Africa, departing from typical charity narratives. We aimed to use the technology to create a documentary-style view in VR rather than a brand-driven campaign. Bernstein brought his storytelling expertise to the project, helping to create a lyrical experience with a focus on music as the voice of the culture and community that ties the piece together. The seven-minute experience communicates a sense of place and beauty, rather than just communicating Impact Network’s mission. I felt this style was missing in the space, and that VR could be used in a new way. Other early VR projects that are set in the context of development or crisis have tended to evoke feelings of hopelessness in the face of a great challenge or spotlight the catalytic effect of an external intervention. I wanted to humanize our “characters” not through their plight, but through their dreams and happiness. The experience does not set up a clear problem (e.g. poverty or lack of education) or demonstrate a solution (an NGO’s impactful intervention); it affords the audience sophistication and agency to explore the scenes and come to conclusions on their own. The result is a VR experience that is unusual because of both content and the production process. We hope that this work helps to make VR a more accessible and inclusive field – and that other small NGOs are inspired to give it a shot! 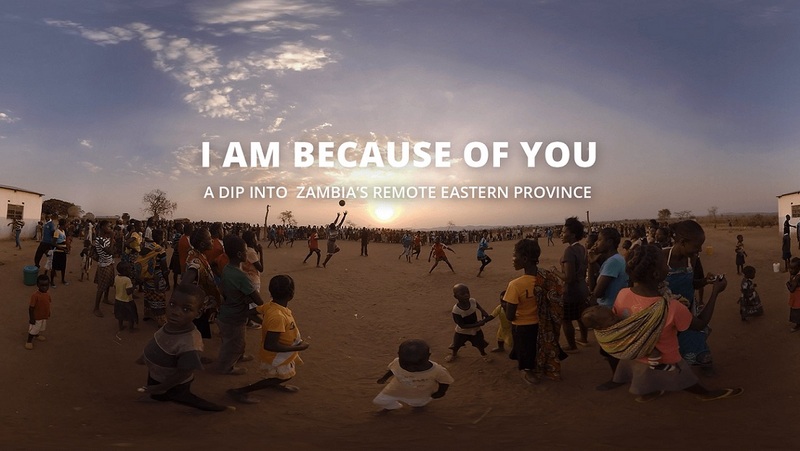 You can watch the VR experience, I Am Because of You, below and here. I hope that you, and my father-in-law, enjoy it. Emily Anderson is the VP of External Relations for Impact Network.